‘Sailing from Goondi to Geraldton’, circa 1902. John Oxley Library, State Library of Queensland. Volunteer researcher Aliza Chin shares her investigations of late 19th-century Chinese vessels built in Australia. For the past two months, I have been a volunteer researcher at the Museum. I have become an explorer who conducts archival deep dives, a decipherer and editor of Trove auto-text, an appraiser of photographs stored away in digital collections, swinging between feelings of elation and frustration, in between clicks and scrolls. If you don’t know Trove, it is an Australian online library database aggregator; a free faceted-search engine hosted by the National Library of Australia, in partnership with content providers including members of the National & State Libraries Australasia. It is one of the most well-respected and accessed GLAM services in Australia, with over 70,000 daily users. To say that the experience has equipped me with new skills in my field would be an understatement, but this blog entry is not about me. 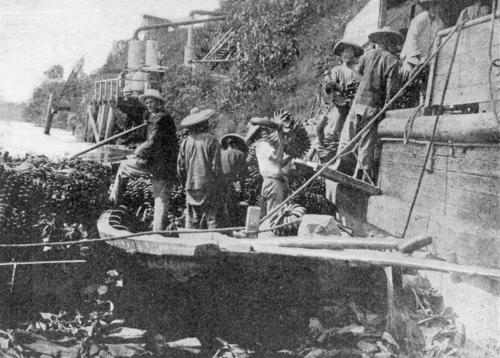 Rather, it is about the issues and new sources encountered and uncovered in the little-studied area of Chinese shipbuilding; specifically, vessels that were made here in Australia between the 1870s and early 1900s. Dr Stephen Gapps has been researching sampans and junks for a while and invited me to help with this project. Aliza, at the museum’s Vaughan Evans Library, after finding another small research gem. Image: Aliza Chin. If you type the word ‘sampan’ into Trove, the first results are a little disheartening. They are not articles detailing the travels of journalists through ‘exotic’ Asian countries but rather, are false positives generated by the auto-text system, mistaking the word ‘Samoan’ for ‘Sampan’. While the Trove system must be praised for providing a digital archive of information, the auto-text function is a double-edged sword. I had no idea there were so many news reports on the Samoan Wars and the colony of German Samoa in the late 1800s! The silver lining was that the words turning up in the false-positives ultimately contributed to future deep dives using different terms, providing a constantly evolving list of filter words, thereby streamlining future research. 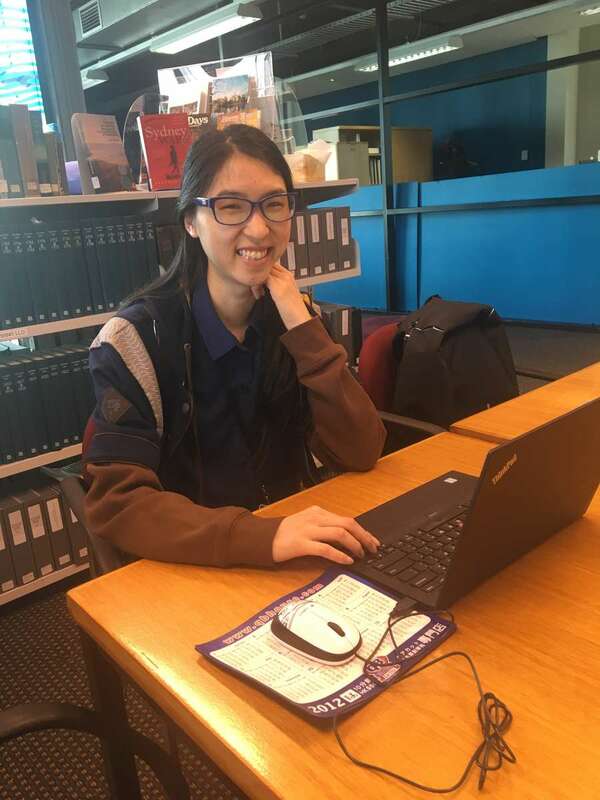 Whilst on this topic, I would also like to highlight the importance of community and teamwork in the field of history, in the efforts of Trove’s text-correction volunteers who work to improve the accuracy of search results, and I would highly encourage people to create an account and contribute to the great historical work that Trove does. Of course, researchers cannot live on Trove alone, and when I was looking for other sources I found digital photo collections such as that of the John Oxley Library at the State Library of Queensland. These collections presented their own very different challenges, with many a moment being dedicated to sighing and groaning at every ‘source is not available online’ message. 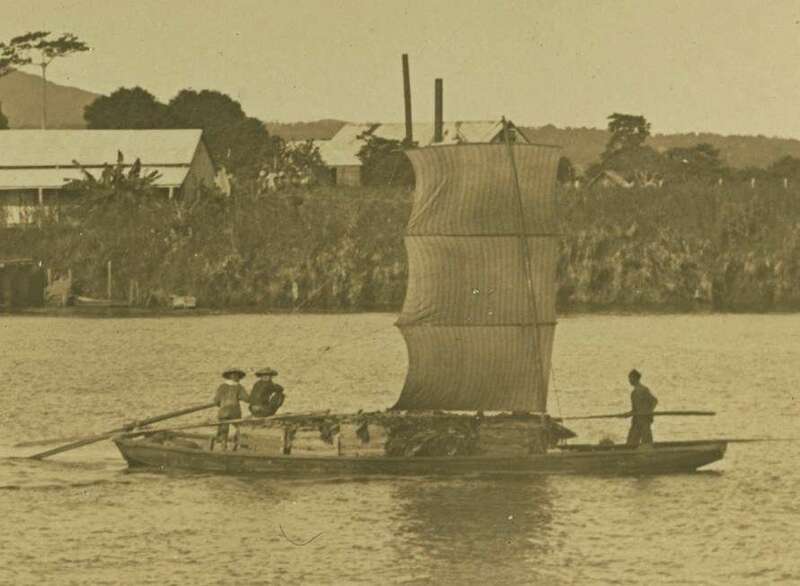 However, from what was available, I was able to find new sources, the most important one being a photograph of what, when you look closely, is a Chinese sailing sampan and crew, sailing from Goondi to Geraldton (now Innisfail), in northern Queensland. This source had previously escaped notice due to the lack of keywords such as junk or sampan. I wonder, what other pictures of Chinese boats in Australia are out there, going unnoticed? I’m not sure who was more excited, me or Dr. Gapps, when the photograph was discovered after hours of scrolling down an entire list with the sole filtering term, ‘Geraldton’. Photographs of junks and sampans in that era within an Australian context are rare, and images which clearly show their subjects even more so. Unfortunately, I then stonewalled by the lack of a full name or a guide to the writer’s previous rants and articles on the subject matter. Despite efforts to find similar sources, through the use of keywords and references such as ‘Lord Wolseley’, at first I was only able to locate one article from 1891 that discussed such views. In the process of doing so I was able to locate other articles that discussed anti-Chinese sentiment, and fears about ‘the awakening of the Chinese race’, which proved that such views, and their numerous variations, were the norm at the time. Another thing to be had in mind is that Australia, with its enormous coast line, the larger part of which is absolutely without defences, is weak and vulnerable to an enemy’s attack in a thousand places all around her shores. For instance, while a Japanese squadron of modern ironclads bombard Sydney and suburbs from off Botany or Manly, another Japanese squadron, or a fleet of Chinese junks, could land a strong military force at Port Darwin, and cut off cable and telegraphic communication, and have the whole continent at their mercy. Anti-Chinese sentiment in Australia is a widely studied topic, I believe that the ways in which such sentiment affected how people perceived everyday objects, used by the Chinese community, warrants greater research. Researchers are restrained on multiple fronts: from budgets of time and money, and it is impossible to follow every single avenue no matter the urgency or the need for it. The number of sources that need to be digitised remains as large as the number of grains of sand on the ocean floor, and sources located outside of states archives, are often only available to view in person and are waiting to be digitised. With more institutions like museums and libraries entering into partnerships, and collaborating on projects together, there is greater access to sources and information is increasingly becoming readily available. New research into Chinese shipbuilding in Australia has also raised several questions and indicated other areas of study in this topic such as the use of sampans in sailing regattas and the use of junks and sampans in illicit businesses. Further research, perhaps through the use of microfilm and other primary sources not currently available online (and/or digitised), such as the Cooktown Herald and Cooktown Courier microfilm, may provide answers for these questions. 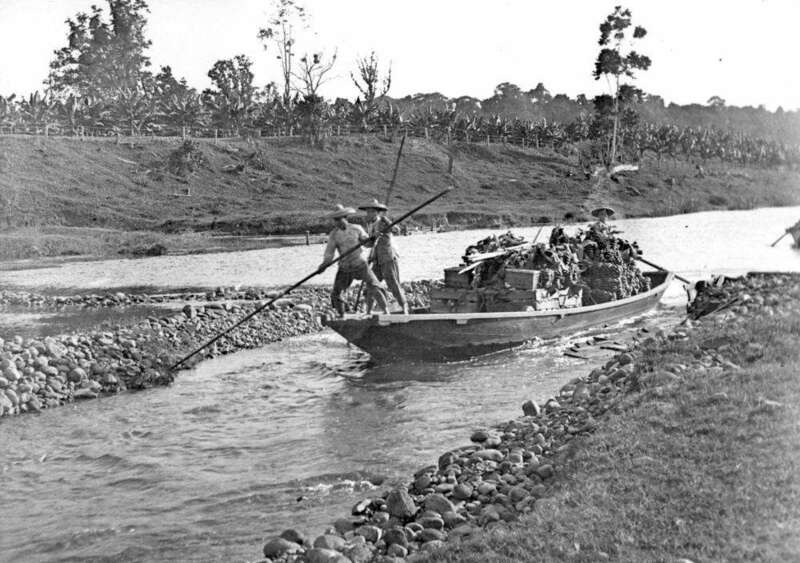 Loading bananas Johnstone River Queensland, about 1910. John Oxley Collection, State Library Queensland. 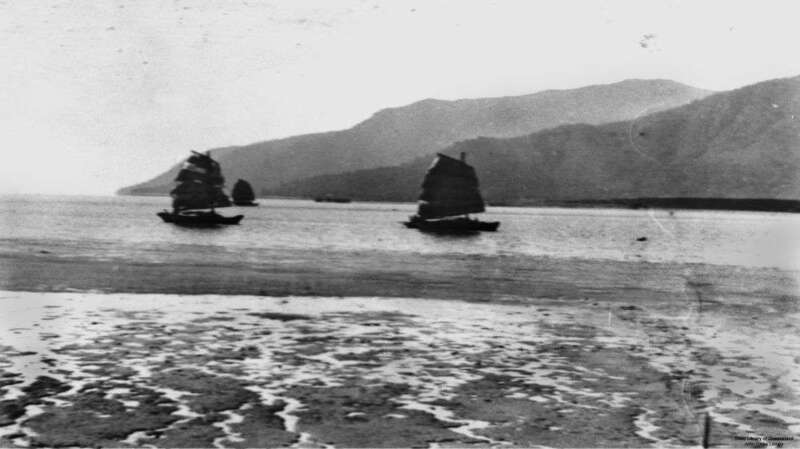 The image of the sailing sampan, found by Aliza, is an example of a sail construction common in Chinese river transportation. The tall rectangular sail is designed to pick up wind above the river banks. This previously unknown type of sailing sampan adds to the growing diverse array of Chinese built junks and sampans in Australia.